The Management of Ho Polytechnic in the Volta region have debunked allegations of financial malfeasance levelled against it by the leadership of the local chapter of the Polytechnic Teachers Association of Ghana (POTAG). During a press conference on Monday, September 30, Paul Deladem Koku chairman of the Ho Polytechnic PoTAG, accused the management of spurious administrative decisionsand downright manipulative scheming which has caused a huge seepage of the Polytechnic’s finances. The leadership of POTAG accused Management of deliberately delaying the payment for a Nissan Teena saloon vehicle purchased in April 2012 without due process, which has accrued of interest for two years, while the polytechnic council have approved the said vehicle to be given as a gift to the rector, Dr. JVK Afun whose tenure ends on September, 30. 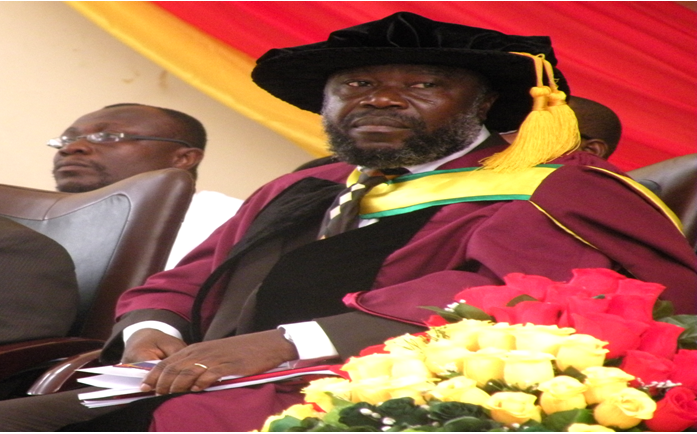 But reacting to the allegations on Tuesday, outgoing Rector, Dr. J.V.K. Affun and the Registrar, David Dzontoh described the accusations as baseless, frivolous and without any merit. They explained that the vehicle was supposed to be pay for by Getfund but the inability of the fund to pay led to the accruement of interest for two years, thus the decision from Council to pay with the school’s internally generated fund while awaiting refund from GEtfund. Mr. Dzontoh also stated that the vehicle is being sold to the outgoing rector at a discounted rate as stipulated in the rector’s condition of service, which other past rectors have benefited from. He also debunked allegation of employing new staff members without due process. Below are excerpts of the POTAG allegations and responses from Management.